Without appreciable supervision, this position performs Contract Program Security Officer (CPSO) responsibilities regarding Special Access Programs (SAPs) including day-to-day management of all program security disciplines. The CPSO will be responsible for maintaining and administering all applicable US Government policies and procedures, e.g. DoD Manual, and NISPOM (National Policy). The CPSO will collaborate with the Facility Security Officer (FSO) and Information System Security Manager (ISSM) to ensure proper implementation of National Policy. Analyze, investigate, and participate in the resolution of classified security issues. Coordinate actions(s) to be taken to ensure compliance with the classified security program. Administer and coordinate security activities in accordance with company policies and procedures to ensure compliance with National Policy. Establish and maintain liaison with government agencies, external customers, contractors, employees, and managers to ensure compliance with National Policy. Develop, review, and implement program specific security programs and procedures. Serve as the focal point for receiving, processing, distributing, and controlling all classified documentation (hard copy and electronic media) entering or leaving the facility, including electronic data transfer. Prepare, review and process personnel security clearance requests. Investigate and review security violations, preparing reports, and recommending specific preventive and corrective action to be taken. Maintain receipt and dispatch, document control, personnel records, and combination records. Implement and manage access control system for the company and/or assigned business unit classified areas. Maintain the strict confidentiality of sensitive information. Responsible for observing all laws, regulations, and other applicable obligations wherever and whenever business is conducted on behalf of the Company. Expected to work in a safe manner in accordance with established operating procedures and practices. Access, review and submit clearance/access information using JPAS. Prepare and administer program indoctrination and debriefings. Analyze, investigate, and resolve classified security issues while providing leadership and guidance to employees, supervisors, managers, and contractors on actions(s) to be taken to ensure compliance with the classified security program. Prepare and submit status reports to applicable government agencies, with review as appropriate from security management and/or Company management. Oversight of SAPs to include support development, review, and maintenance of program security documentation for SAP. Set up SAPF in accordance with National Policy (physical security, facility security and access control, network and IT security, cryptography, personnel, etc.). Manage the annual inventory of accountable holdings in accordance with the policies and procedures. Other duties as assigned or required. Bachelor's degree in Business Administration or related discipline preferred; equivalent experience will be considered. 10+ years of professional classified security experience in a corporate or government environment. Must have experience with DOD processes and procedures or an equivalent regulatory environment and/or military training. Must have a complete understanding of US Government National Policies, NISP, NISPOM, DoD Manuals, ICDs. Must possess the ability to identify issues and develop solutions to a variety of problems. Strong communication, computer, analytical, and interpersonal skills. The ability to initiate and plan projects, and analyze and interpret data. The ability to produce appropriate clear, concise and detailed documentation. Must be able to work independently and in a team. Able to work extended hours and travel as required. Completion of Industrial Security Management and COMSEC courses and access control database experience preferred. This position requires an active TS/SCI DoD security clearance upon hire. 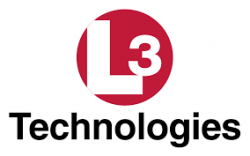 L3 Telemetry & RF Products, located in San Diego, is a full service manufacturer of state-of-the-art communication and telemetry solutions for space, airborne, terrestrial and maritime applications. Our integrated solutions combine latest-generation technologies and proven processes and are provided to defense, intelligence and government agencies, as well as international and commercial organizations. We partner with customers, industry and academia to develop innovations that reduce costs and improve performance. Our world-class expertise in connecting space, airborne, ground and sea-based platforms with secure, real-time data drives our communications business in addressing the heightened global demand for advanced solutions. As a prime contractor, we are a key integrator in state-of-the-art maritime platforms. Our power conversion, power conditioning and power protection solutions can be found in a wide range of demanding military and commercial environments around the world. We embrace innovative and progressive ideas to advance our products for our customers across the globe.